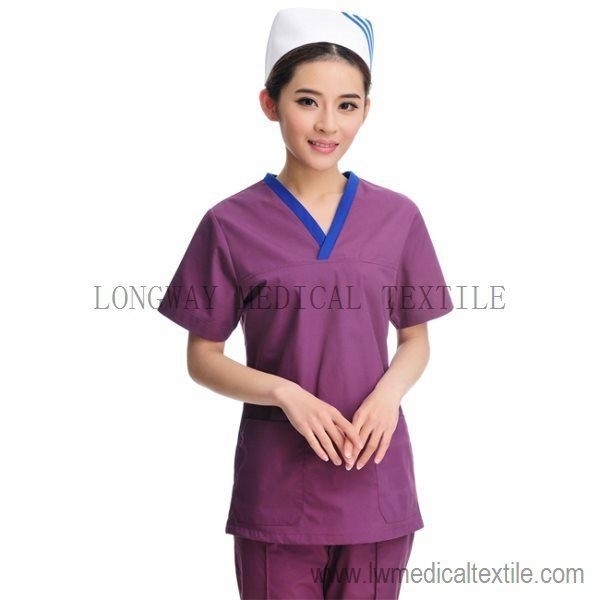 Medical Scrubs or nurse scrubs. 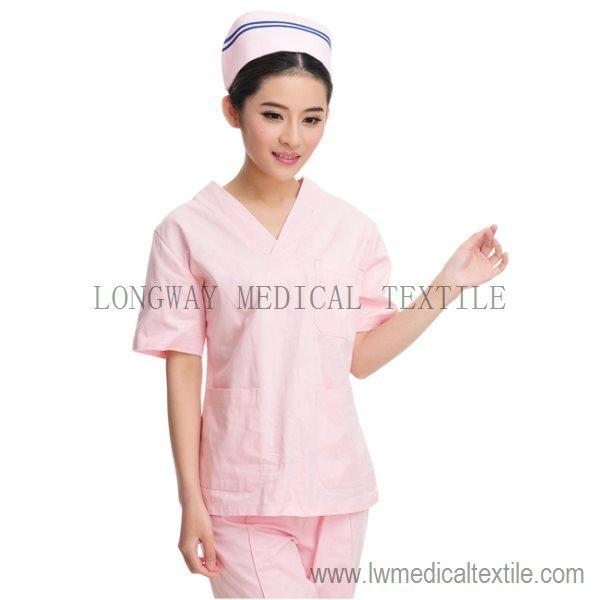 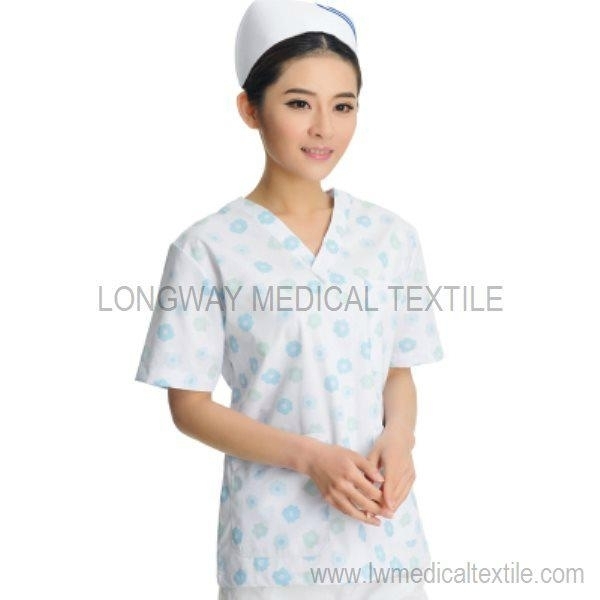 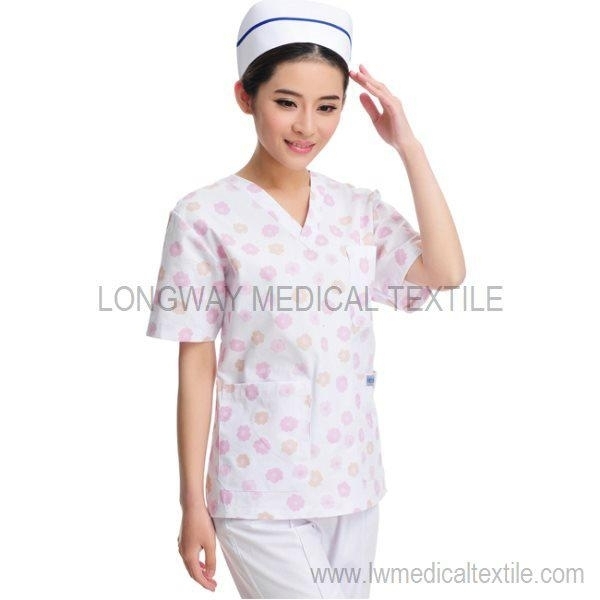 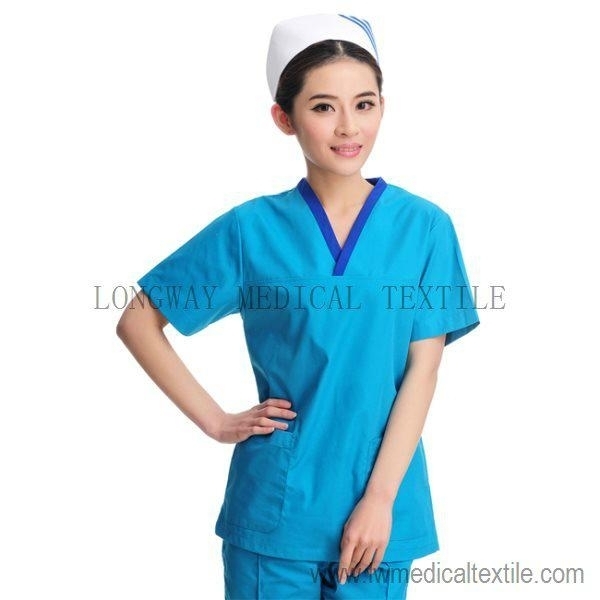 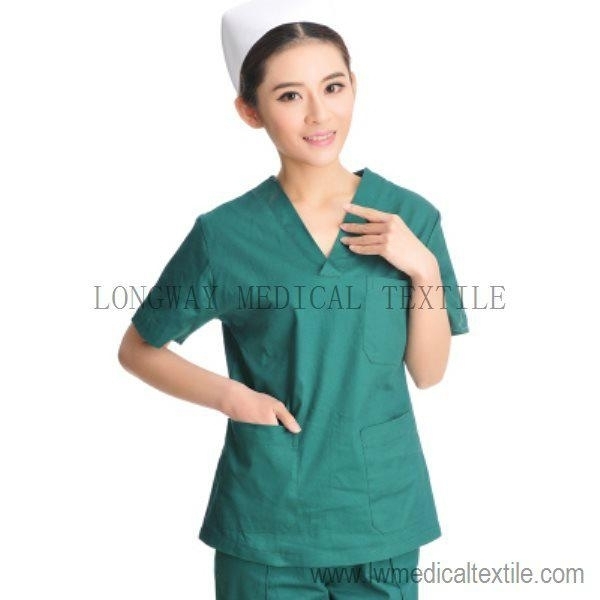 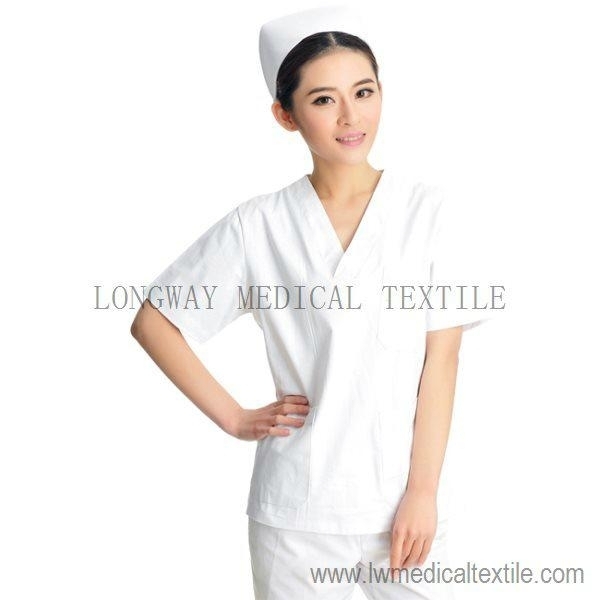 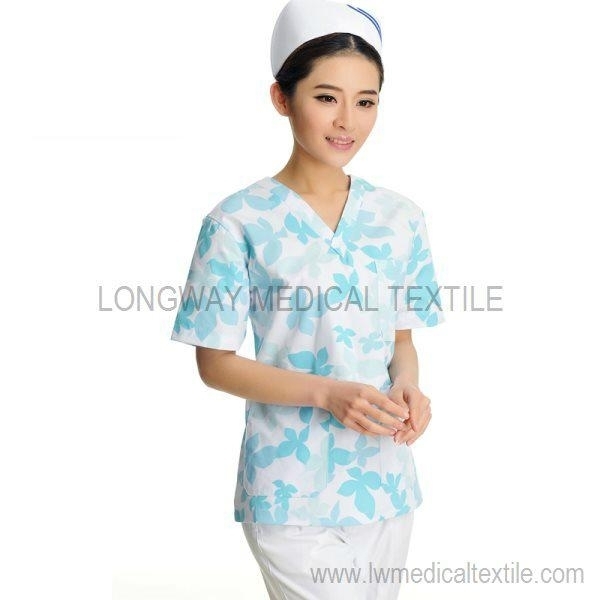 Material for medical scrubs can be pure cotton or polyester cotton. 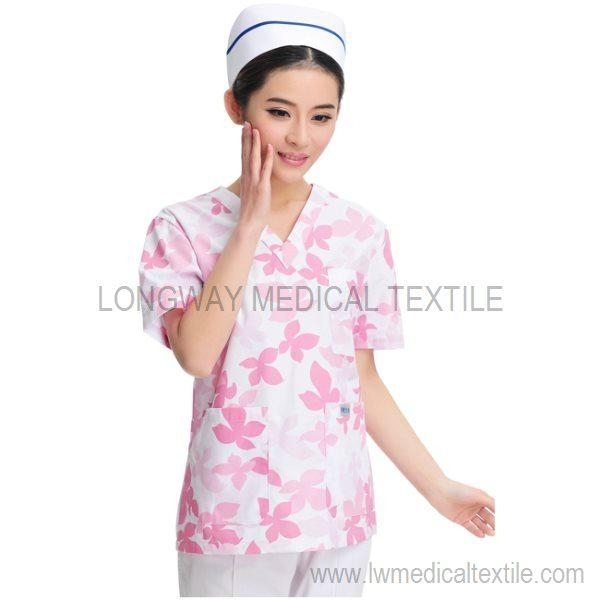 Various colors are available, including white, light blue, pink, purple, green, or painted with designs, etc.